Monica Isabel Beach Club is a beachfront 3-star resort offering comfortable and affordable stay to its guests. A unique aspect of the Monica Isabel Beach Club complex is that it offers a 4-star aparthotel experience as well as a 3-star apartment experience. The resort houses both indoor and outdoor swimming pools, which will surely delight guests. All the guestrooms in the hotel are airy, bright and air conditioned, allowing for a comfortable stay. 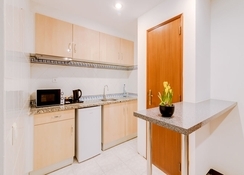 The hotel is close to several shops, cafés and restaurants in Albufeira. There are numerous facilities within the resort including a tennis court, billiards table, volleyball court and many more. The resort houses a well-appointed restaurant – the Monica Isabel’s restaurant, which offers exquisite meals. Golfing enthusiasts can tee off in style at the Pine Cliffs Golf Course, which is only 7km from the hotel. 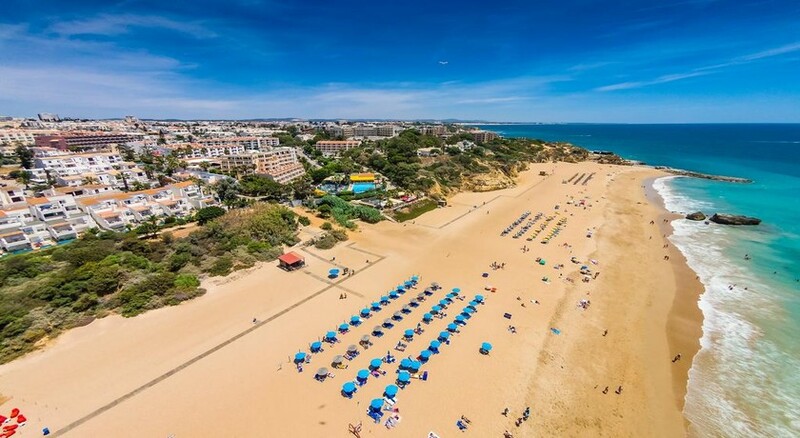 The Monica Isabel Beach Club is located opposite a lovely golden sands beach in Albufeira, Portugal. The beach is only a few hundred metres from the hotel. Those who believe in luxury retail therapy can indulge in it at the Albufeira Shopping Centre, which is only 1.7km from the resort. The Faro Airport in Portugal is 39.3km from the property. Charming, magnificent and bright are some of the words that describe the rooms at the Monica Isabel Beach Club. Rooms are available in multiple categories to match the needs of solo travellers, couples, families and group of friends. They come with all the necessary amenities that include flat screen TV, double bed, sofa set, table and chair and much more. Monica Isabel Beach Club houses a marvellous restaurant that offers magnificent views of the sun, sand and the sea alongside some delectable dishes. At the restaurant, you can enjoy breakfast, lunch and dinner and you will also be offered sandwiches and ice-creams. There are plentiful sports and leisure amenities in and around the resort to keep guests engaged throughout their stay. Dive into the large outdoor swimming pool for a rejuvenating swim or simply relax on the sun loungers spread around it. The swimming pool is open throughout the day. Other sports facilities in the resort include tennis, volleyball, billiards, darts and much more. The resort hosts reptile shows, live music, karaoke, bingo and Brazilian dances through the week. Please Note : The Steam room and Turkish bath are temporarily closed and the wifi is only available at the reception and Bar. The hotel is beautiful. The staff amazing , helpful and friendly for really. We asked for a contact number of our Shuttle and they contacted them on our behalf and arranged our return trip. Free. The good was amazing and the location picturesque. So much to do around there. We will definately go back. Ps: Wi-Fi available for teenagers. Amazing. Absolutely beautiful place to stay, room was lovely. Pool great. My daughter and I booked a long weekend. We had a lovely bedroom with a stunning sea view. The staff were absolutely lovely and the food was really nice 😁. The beach was just a few minutes walk away and it was just so beautiful when we were there. Does what it says on the tin! Could fault it. But I'm not going to as i will return. Perfect. After reading all the reviews before going away we were abit worried about what we would actually get. But we put into a lovely newly decorated apartment with views of the sea. It was clean and fresh and had regular cleaners in daily. Food was your normal inclusive food, something available for everyone. Overall we had a fab holiday and would go back again. Over all very nice, on the beach. Vegetarian choice is good. Friendly staff, good food, cleanliness and location. I will recommend this to anyone. Dont look at 3 star rating, service is actually 5*. The hotel was superb. The apartment we stayed in was huge!!!! and the staff was excellent, we are definately planning to come back.